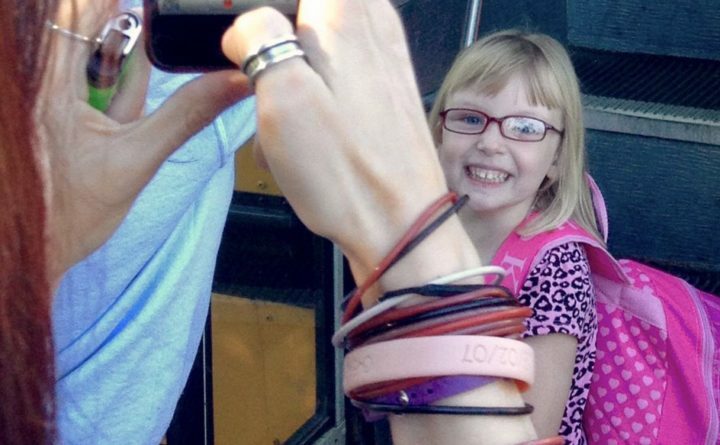 Marissa Kennedy steps on the bus for the first day of kindergarten in New Windsor, New York, several years ago. STOCKTON SPRINGS, Maine — Prosecutors in the case of a Maine mother charged with beating her 10-year-old daughter to death with her husband’s help want to try the couple together with separate juries. Sharon and Julio Carrillo have pleaded not guilty to charges of depraved indifference murder of young Marissa Kennedy. WABI-TV reports prosecutors say a joint trial with evidence to support that both Carrillos were involved in the death would be more efficient. They also say it would help avoid inconsistent verdicts. Investigators have said the Carrillos acknowledged taking turns beating the girl before her death in February. The defense attorney in the case, Chris MacLean, didn’t immediately return a call seeking comment.